Some of Utah s top junior Nordic athletes gather for a picture after a recent race. In the back row, from left to right, are Logan Chamberlain, Keenan Peters, Felix Firth, Sarah Morgan, Jenae Rasmussen, Sydney Palmer-Leger, Drew Palmer-Leger, Lane Myshrall, Julia Lazzaroni, Lydia Strohl and Tate Hoeffler. In the front row are Ingrid Norton, Madison Morgan, Savanna Fassio and Lina Farra. Other top athletes not pictured are Leah Lange, Skylar Patten, Sienna Leger Redel and Connor Patten. Sixteen Nordic skiers from the four local Utah ski teams qualified to represent the Intermountain Division at Junior Nationals, an event that will be held on the historic Telemark trails in Cable, Wisconsin March 6 13. Over 400 athletes from 10 different divisions across the nation will compete in the weeklong event. Many Nordic athletes dream of competing at Junior Nationals to see how they stack up against the best skiers in the country. For many that have had the privilege of attending Junior Nationals, the experience has been a life changing event that has shaped their lives as a person and an athlete. 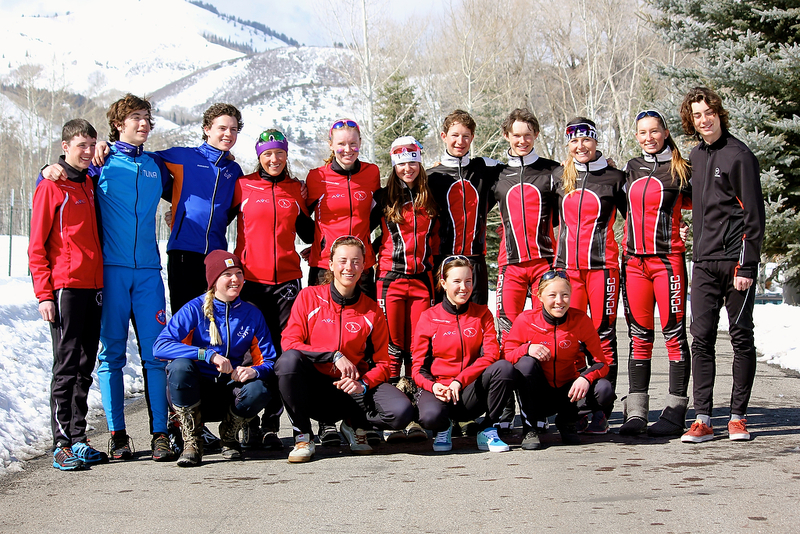 Park City Nordic Ski Club had seven athletes qualify for the JN team. Congratulations to Julia Lazzaroni (FU20), Leah Lange (FU18), Sienna Leger Redel (FU18), Drew Palmer Leger (MU18), Sydney Palmer Leger (FU16), Skylar Patten (MU16) and Lane Myshrall (MU16). Connor Patten (MU18) and Tate Hoeffler (MU 16) are alternates. Lydia Strohl (FU18) is the alternate for Sienna Leger Redel, who declined to attend. Wasatch Nordic Academy athletes that qualified were Madison Morgan (FU18), Lina Farra (FU16), Sarah Morgan (FU16), Jenae Rasmussen (FU16) and Savanna Fassio (FU16). The Utah Nordic Alliance (TUNA) had Keenan Peters (MU16) and Laura Anderson (FU18) qualify. Ingrid Norton (FU18) and Felix Firth (MU16), both from Soldier Hollow, qualified. 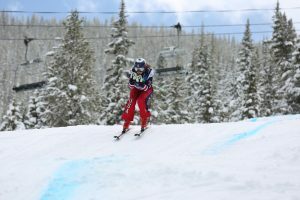 Athletes were selected based on their results from the National Qualifying races that were held throughout the season in Bogus Basin, Idaho; Soldier Hollow, Utah; and Bozeman, Montana. In addition to the 42 athletes (21 girls, 21 boys) the IMD takes, any juniors selected for the U.S. Ski Team Scandinavia Cup, World Juniors or Youth Olympics earns an automatic berth to the U.S. Nationals. Leah Lange from the Park City Nordic Ski Club automatically qualified for Junior Nationals by her strong finishes at Senior Nationals in Houghton, Michigan, in early January. 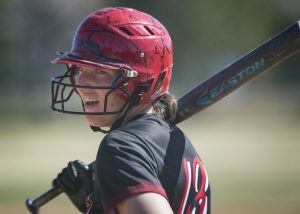 She is currently representing the United States at Junior Worlds in Romania. The IMD team will travel to Cable, Wisconsin, on March 4, where the athletes will rendezvous with their teammates and coaches. Junior Nationals will officially get underway with Opening Ceremonies taking place on Sunday afternoon. The teams will all be officially introduced. Competition begins Monday with a classic interval start race ranging from five kilometers to 15K. The course is a 5K loop with challenging climbs and technical downhills. Wednesday’s race will be a classic sprint. The sprint course is a 1.4K loop and includes 45 meters of climbing. Over half of the sprint course is in view of the stadium. Friday is the freestyle mass start race and Saturday’s final day of racing features freestyle relay races in which teams of three take turns racing a 3.3K loop. After closing ceremonies the junior athletes get to relax and have fun by attending the Junior Nationals Dance. It’s a fun way to end the week with their new friends. The performance of these athletes is a testament to the fact that Utah has a lot of incredible talent. In order to compete at this high level of Nordic skiing, it takes a lot of commitment, sacrifice and training. None of these athletes achieved their goals without the support of the many talented coaches, teammates and families. To check out the action for this year’s Junior National event online, visit http://www.xcjuniornationals2016.com .